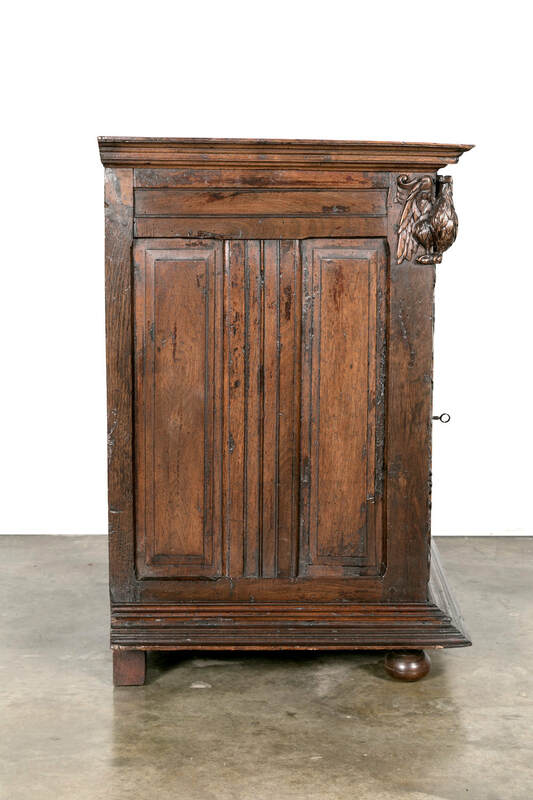 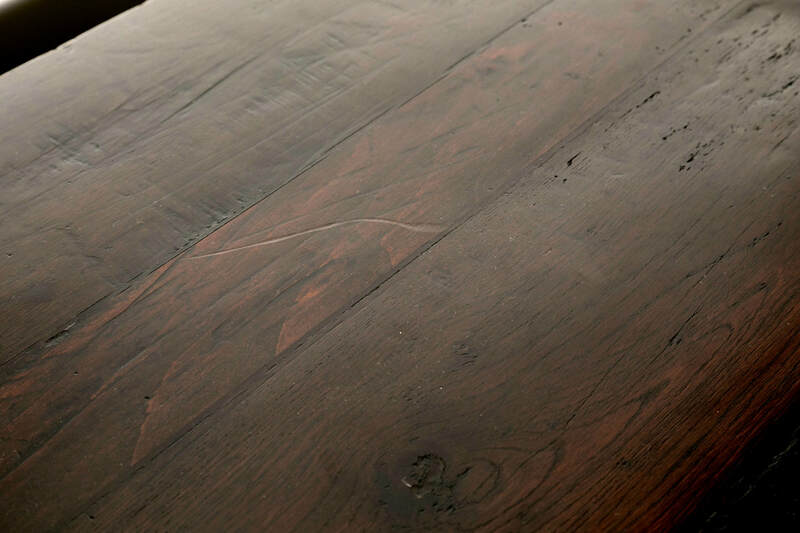 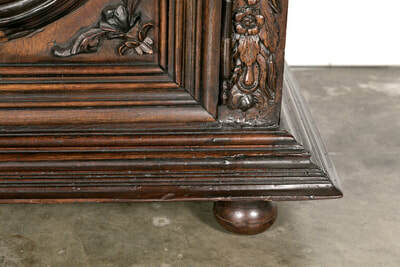 A very impressive Louis XIII style confiturier or jam cabinet handcrafted of solid walnut by talented artisans near the Bordeaux region during the early 1700s. 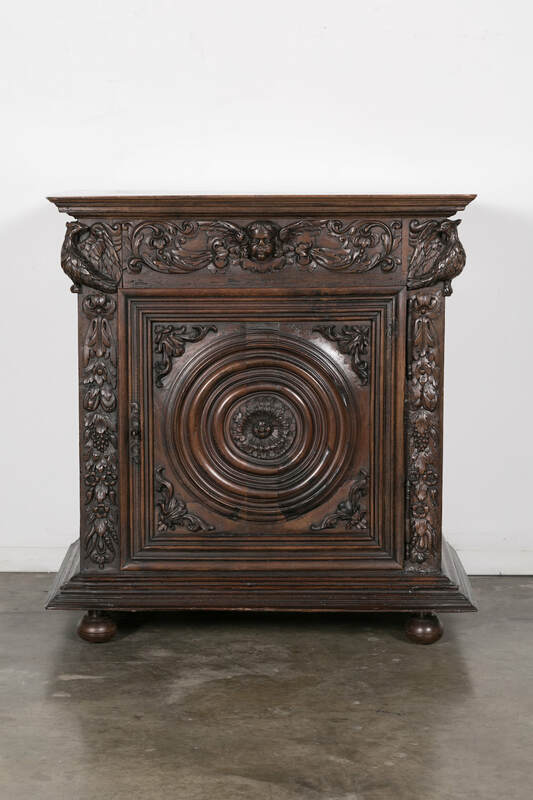 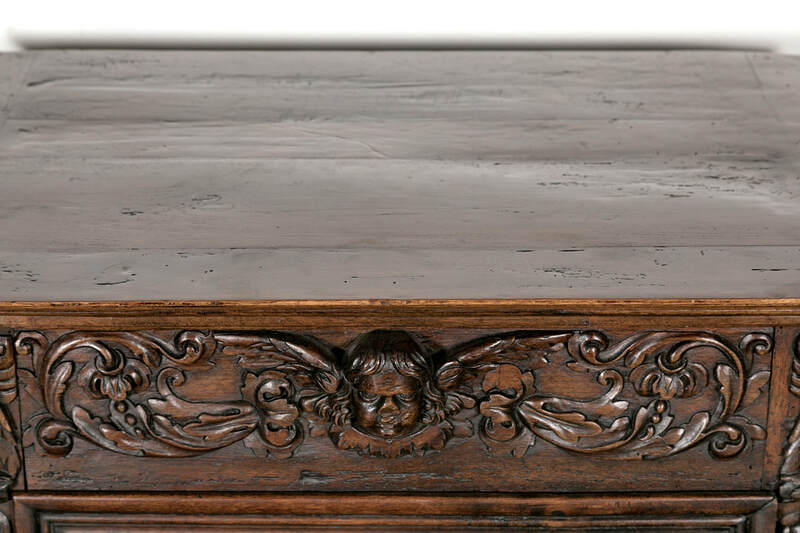 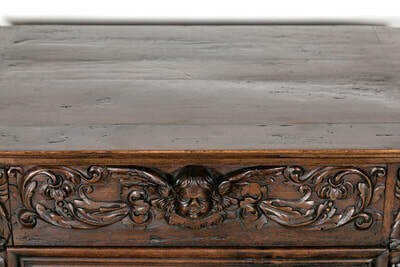 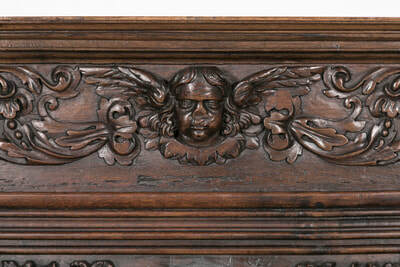 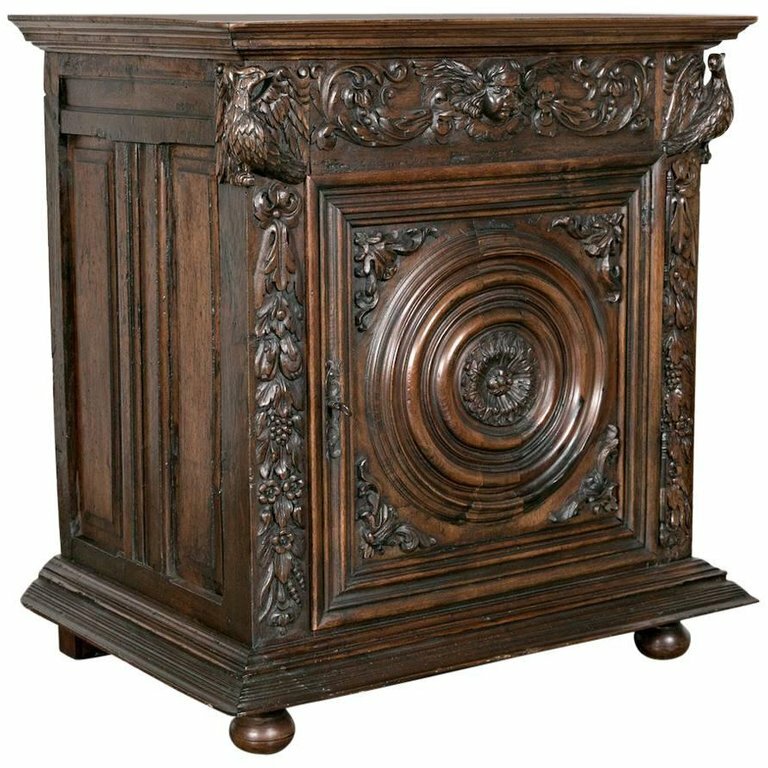 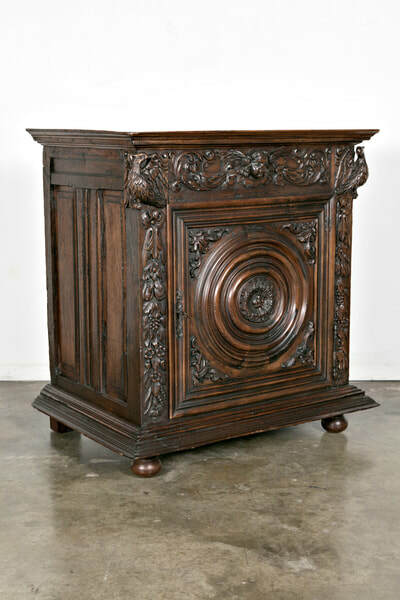 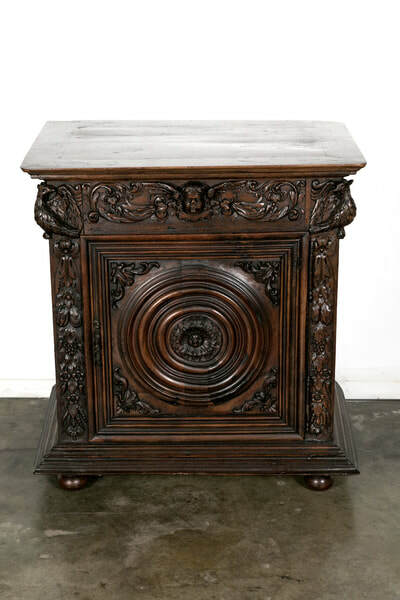 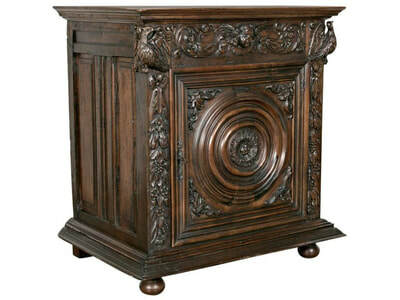 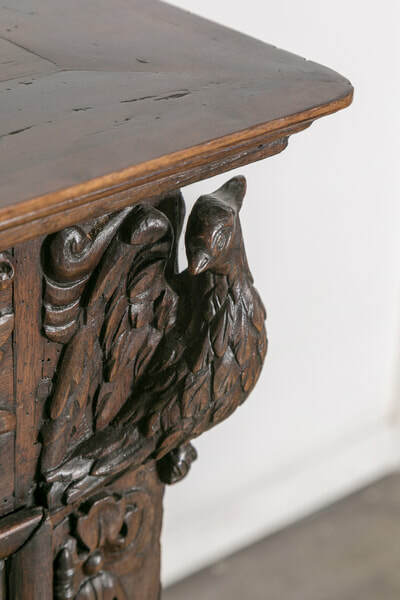 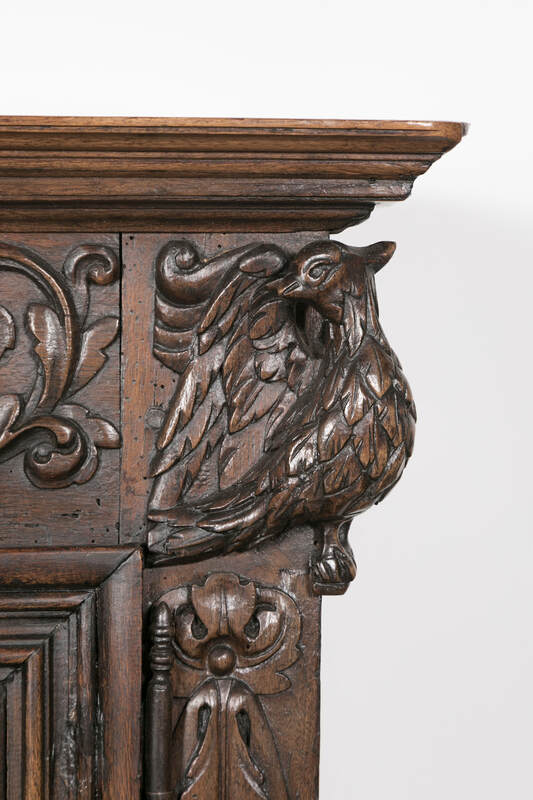 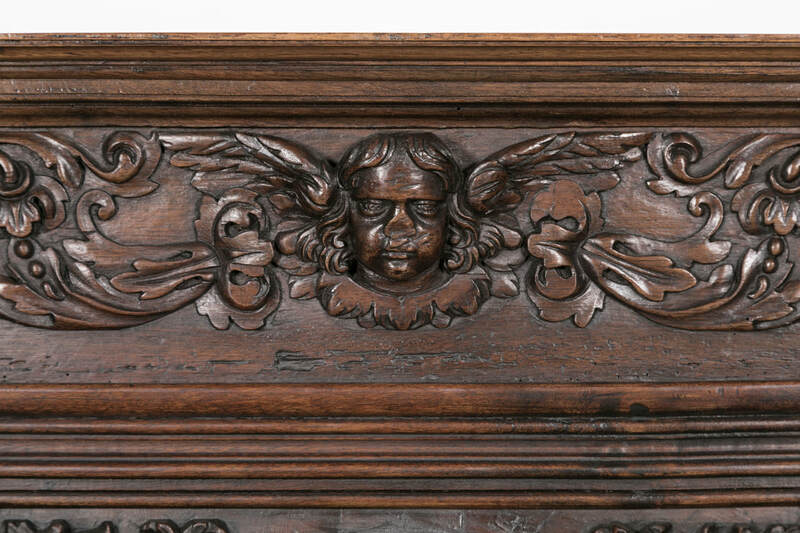 Obviously made to specific order, this richly carved cabinet has a rectangular top and the frieze below is adorned with a central cherub head and intricately carved phoenix in bold relief on each corner. 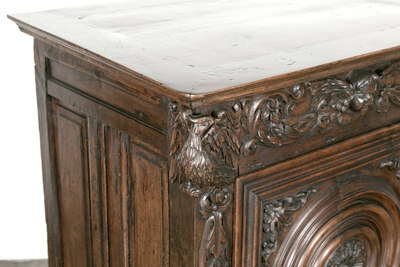 Cascading down each side are stylized della robia motifs. 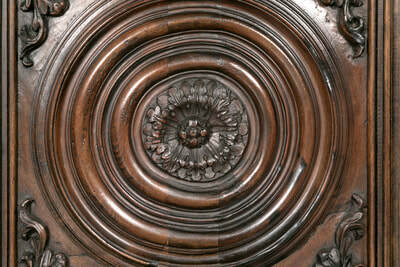 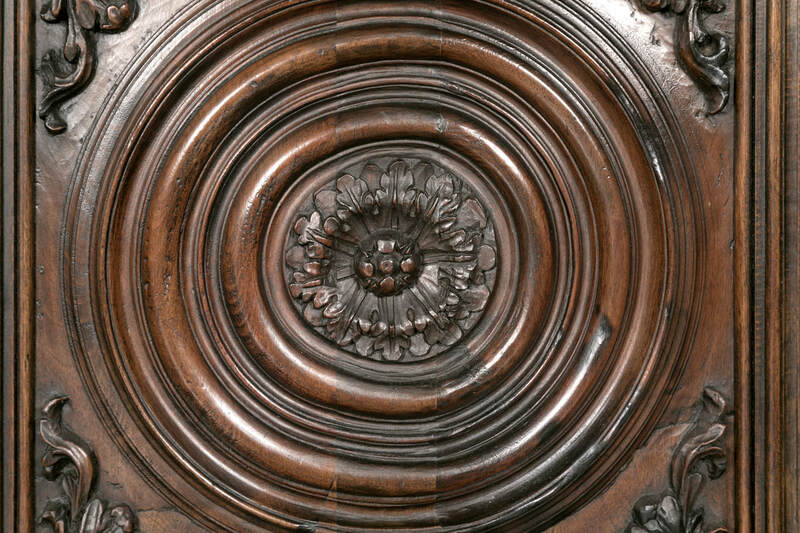 Typical Louis XIII motifs of concentric patterns of squares and circles on the door. 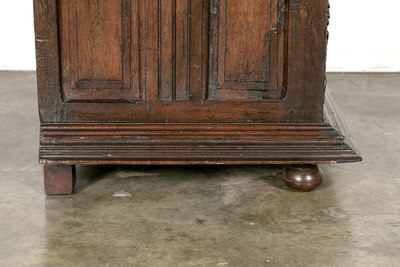 Raised on wide bun feet. 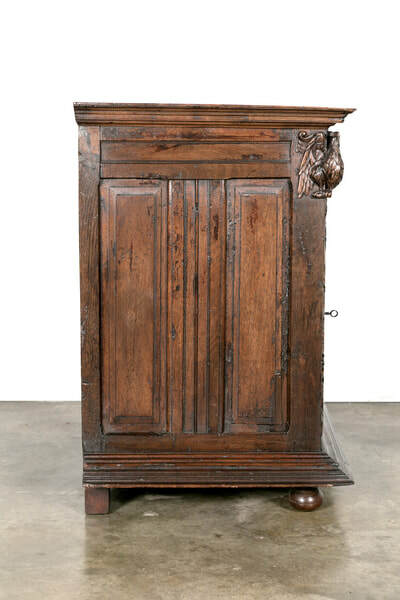 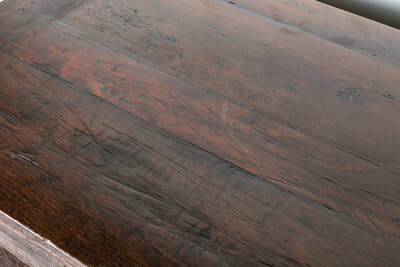 Confituriers were used to store jams and marmalades made from the fruits of the garden. 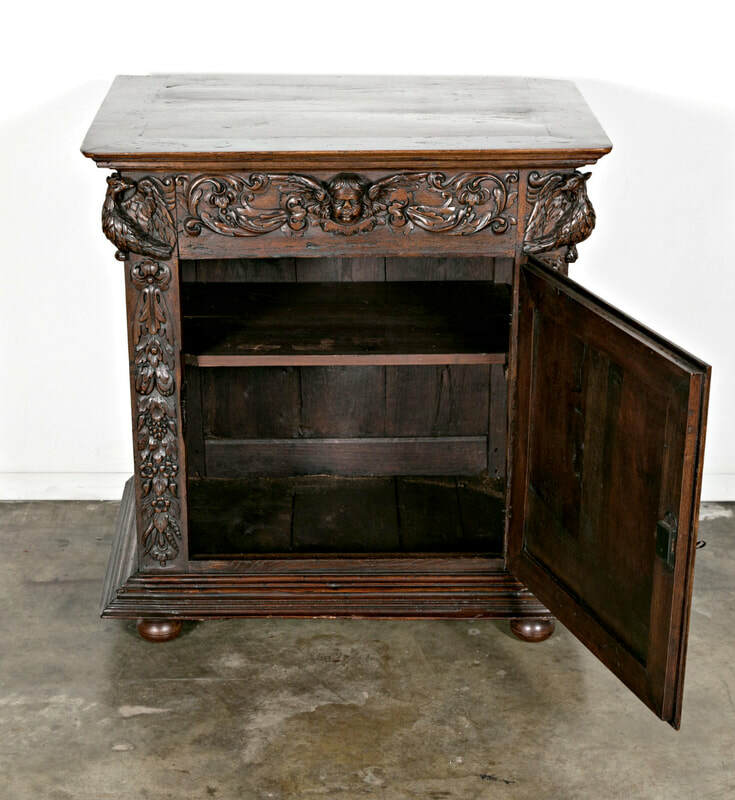 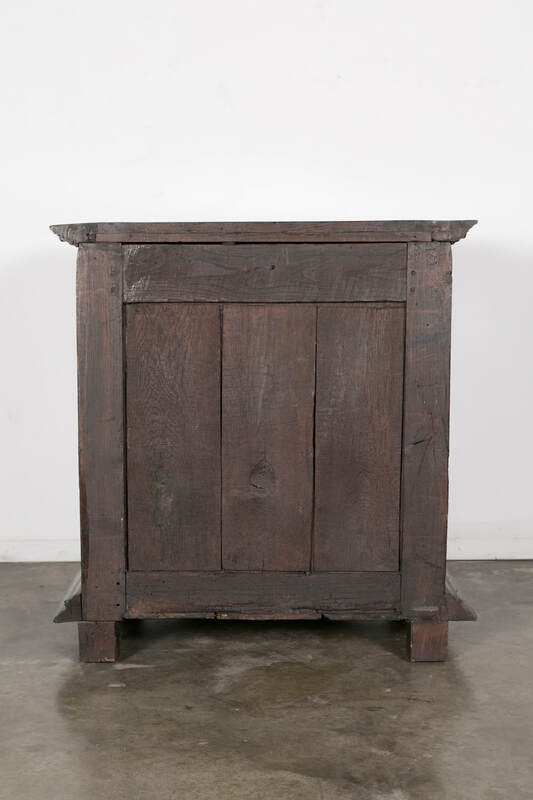 They are extremely versatile cabinets because they are usually smaller than a buffet or chest of drawers and can be used for storage in any room. 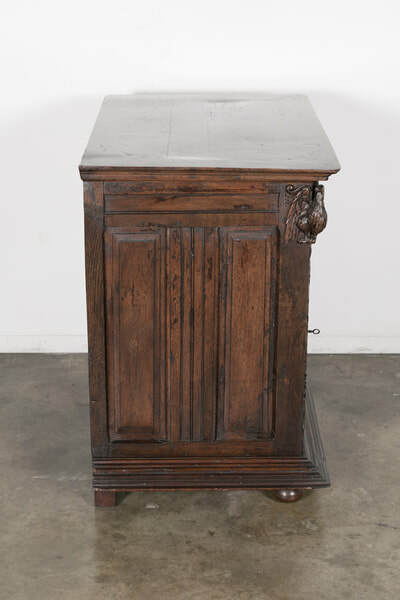 We have converted them into powder room vanities, used them as nightstands and even retrofitted them with small refrigeration units for bar areas or wine rooms. 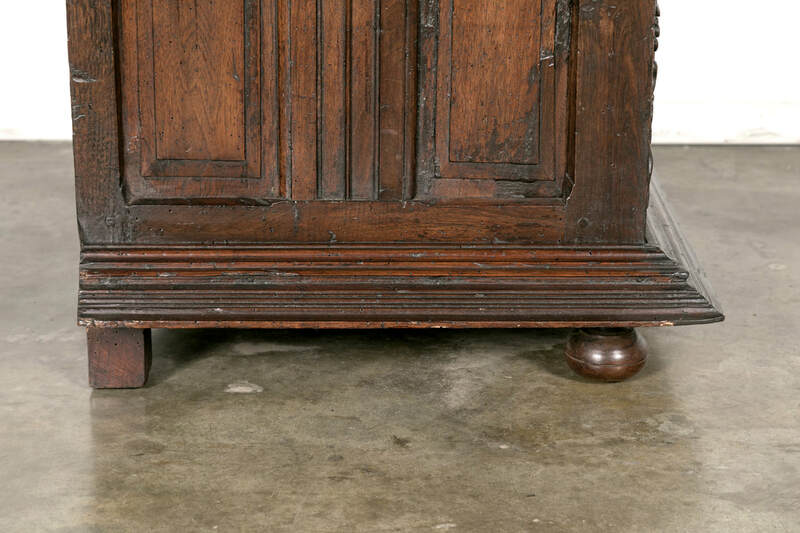 They make great storage for extra shoes, boots, and keys near the back door.